Mold removal is a complicated topic. It takes more than just a little bleach or bathroom cleaner to safely and thoroughly remove mold from a household. Household mold isn’t just relegated to bathrooms and basements, either, although it is often found there; it can grow in any room of the house, in the attic, in crawl spaces, inside walls, under carpets, and inside ductwork. It can be difficult to find and even more difficult to remove. We’ll tell you all about mold removal, but we’ll also tell you about what causes mold, such as poor ventilation in a bathroom, leaky roofs or windows, and flooding. 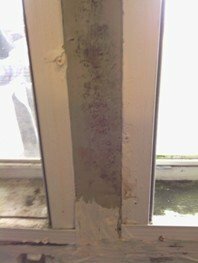 It’s important to figure out what led to a mold problem in the first place and correct the problem; otherwise, you may spend time and money cleaning up mold only to quickly find yourself back in the same boat again. The health risks of mold exposure are well-known and documented by both the Centers for Disease Control and Prevention and the Environmental Protections Agency. Toxic mold symptoms include things like a runny nose, coughing, wheezing, itchy or irritated eyes, rashes or hives, headache, sore throat, difficulty breathing, and shortness of breath. Exposure to mold increases the frequency and severity of asthma attacks in people with the condition and even increases the risk of asthma-related death. According to the Cleveland Clinic, babies exposed to excessive household mold are at increased risk for dying of sudden infant death syndrome, also referred to as SIDS or crib death. In many cases, symptoms are mild but in others, they are severe or even life-threatening. Babies, older folks, and people with respiratory disorders or disorders of the immune system are at greatest risk, but anyone can be affected. In some cases, you can safely and effectively remove mold yourself. In other cases, it’s difficult to do the job without extensive knowledge and expensive equipment. 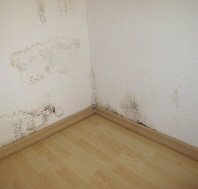 The Environment Protection Agency recommends calling a professional if mold covers an area greater than three feet by three feet, if the area was flooded with potentially contaminated water (such as water that may have contained sewage), or if you think there might be mold in your heating and air conditioning ducts. 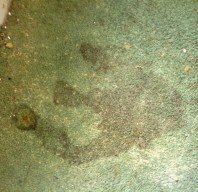 There are a lot of home remedies for removing mold that don’t really work, or that only work against certain types of mold; for instance, bleach is effective against most types of mold, but only on non-porous surfaces. That means it won’t work on drywall, carpet, or other porous materials. Don’t waste your time or money on ineffective treatments. Learn what really works. Finally, we’ll tell you how to make sure you got rid of all the mold, since if you miss just a little bit, you can be sure you’ll soon have a full-blown mold problem on your hands again. You’ll need to test your home for mold to make sure you removed every trace. You can purchase do-it-yourself mold tests, but a professional will have more accurate tests, plus he or she has been trained to conduct and interpret them correctly. We want to provide all the information you’ll need to cope with a household mold problem. If you have any questions, please feel free to email and let us know.